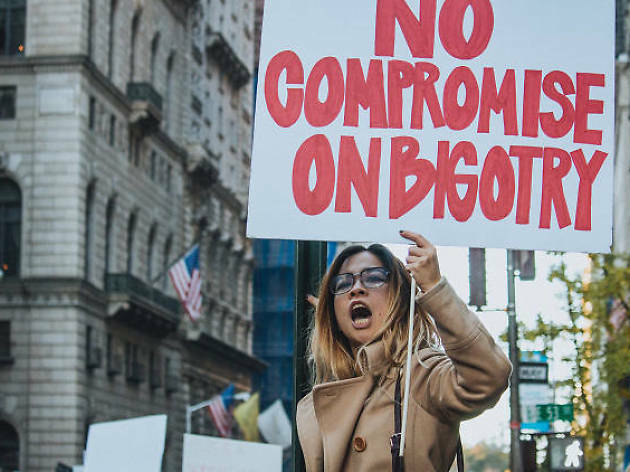 If you want to join the nationwide protest of women and allies today, now's the time! Protestors have already gathered at Columbus Circle before an eventual march to Trump Tower. Spoken word performances will go on till 2pm, when the group goes on the move. And from 4pm through at least 8pm, the group will make some noise outside of Trump Tower. 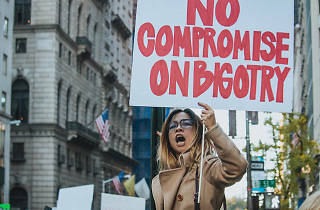 The protest's mission is "mobilizing women and allies to leverage our collective power as citizens for immediate action against any effort to erode the rights of women and other vulnerable groups." Follow the protest on Twitter for updates, and be safe out there.